This 8-night trip takes you along Funf-Flusse-Radweg, one of Bavaria's long-distance cycle routes. Cycling on a circular route, you'll start in the UNESCO mediaeval city of Regensburg and pedal through the north-east of Bavaria. Along the way you'll follow a series of well-networked paths that run alongside a mix of waterways: the majestic Danube, the stunning Altmuhl, the Main-Danube Canal, the tiny Pegnitz and the beautiful Naab. Marvel at the collection of beautiful towns and quaint hamlets you pass, and the scenery that each waterway brings, from the wide rolling valleys of the Danube, the narrow high valleys of the Altmuhl, the fruit orchards along the canal, the old railway cycle route along the Pengitz, and the beautiful churches found along the Naab. On each day you'll find your own favourite jewel, from the spa town of Bad Abbach to completely walled Berching, to lovely Lauf that straddles the Pengitz to Kallmunz at the confluence of the Pengitz and Naab rivers, with its fairytale castle towering above. As meadows turn to forests, you'll admire a profusion of flora - heavily scented pines, silvering birch, fruit orchards, wild orchids and poppies. Deer and boar scarper through the woods whilst eagles, buzzards and hawks circle above, and herons and kingfishers enjoy their surroundings along the waterways. The cuisine is rich in tradition with hearty meats and local vegetables - it's not just bratwurst and beer on offer, in the north of the region one of the most popular dishes is Spatzle, a pasta dish covered in a creamy sauce and deep-fried onions. There are also lovely white wines available. Your accommodation en route is special too: the modern *** Hotel Jakob, a converted **** brewery in Beilngries, a riverside hotel just metres from the old walls of Nuremberg, and a restored prison in charming Amberg. Head out for dinner in this charming city, perhaps in a traditional beer garden, which is often the best place to sample the local food. You take the Danube Cycle Way today, which follows the river. Cycling through the wide verdant valleys of the Danube, you'll pass pretty hamlets, stunning cliffs and lovely churches. Passing through the spa town of Bad Abbach with its relaxing gardens and lively cafes, you'll leave the Danube at Kelheim then follow the Altmuhl river that meanders its way through the stunning Altmuhl valley with its high peaks on either side. Look out for fishing herons and speedy kingfishers and the 'Tatzelwurm' - a waved wooden bridge spanning over 600m. Take time to wander around riverside Reidenburg and stop off in one of the beer gardens en route. 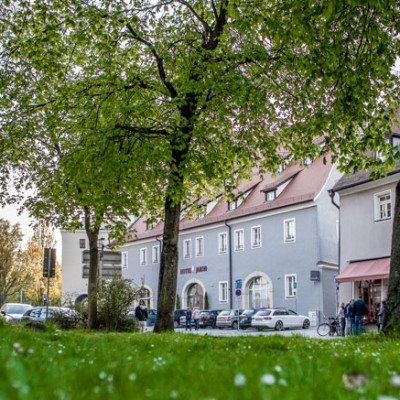 Either relax in the pretty town of Beilngries - there's a small toy museum to visit - or walk up to the Schloss Hirschberg, where you'll find the rock cellar brewery museum. Alternatively, pick the Altmuhl river and follow to the Pfraundorfer See, a popular local swimming spot. Continuing along the river you'll arrive at Kipfenburg, the geographical centre of Bavaria, with its famous mediaeval castle. Today you break from the rivers and follow the impressive Ludwig-Main-Donau Canal for most of the day. The first stop is the beautiful mediaeval walled town of Berching. Then it's on to bustling Neumarkt with its pretty main square, continuing on the Ludwig-Main-Donau Canal you pass through some wonderful scenery - pine-scented forests, apple, cherry and pear orchards - all wrapped up by beautiful mountains. There are many quaint locks and a good choice of gasthofs en route, where you can stop off and enjoy a radler. 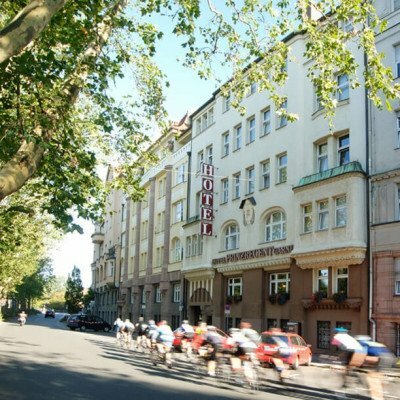 The cycle track takes you right into the centre of Nuremberg and your hotel for the next two nights. The most German of German cities', Nuremberg was named this after the beauty of the town (pre-war). One of the most important trading points under papal rule, Nuremberg grew from C10. Its huge castle still to this day hovers over the town and the old city walls are still complete. There is a good choice of museums to visit, from the German National Museum to the cute Nuremberg Toy Museum, or perhaps go on a tour of the subterranean beer cellars. You can stay longer in this city or add extra days to visit nearby Bamberg and Weurzberg. Today you'll enjoy a beautiful ride along the Pegnitz river, passing a series of pretty towns, including Lauf which is a highlight to stop off at. You'll then climb a little through stunning mountain landscapes, high meadows and small farms to the reach the beautiful town of Sulzbach. A long freewheel then takes you to Amberg and your prison cell for the next two nights. Enjoy the sights of this walled town today - it is a lively place with many bars and restaurants and plenty of sights such as the C15 New Palace, the Gothic town hall and market square, the world's smallest hotel, 'Little Wedding House', and the town museum. A walk around the mediaeval walls is a popular local stroll. Today you'll follow a beautiful old railway track along the Pengitz; sitting above the villages and meadows it offers wonderful views as you slowly make your way down Kallmunz, a quaint village that sits at the confluence of the Pengitz and Naab rivers. Let the castle lead you into town and then pick up the Naab river, following it through woodlands past the wonderful monastery at Pielenhofen to rejoin the Danube. Then it's back to your hotel in Regensburg for a final night. 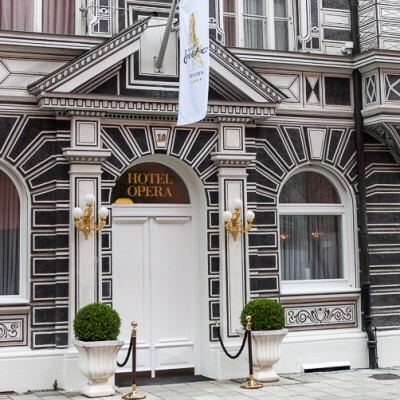 The Hotel Prinzregent sits on a leafy street overlooking the Pengitz river, just a 10 minute walk to the old town. Originally a Jewish merchant's art nouveau mansion, the hotel has been owned by the same family since 1951 and was restored from ruins. Today it manages to mix art nouveau elegance with boutique style room decor. The superior room offers more floor space and has tea & coffee making facilities. 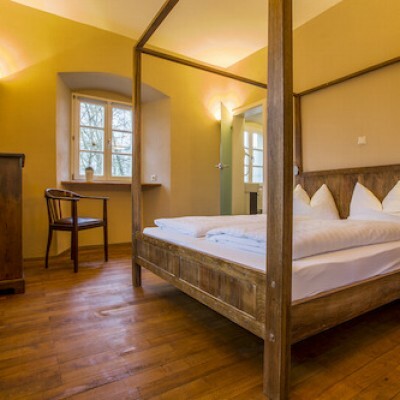 The Hotel Fronfeste is a former 300-year-old prison built into the old walls of Amberg, just a short walk from the Englischer Garten. Today it has been restored very well to create a prison hotel. Each room is a former cell, the staff dress as prison wardens and each room has a welcoming 'bread and water'. This makes for a unusual and quirky stay. Room upgrades: Themenzimmer or Director's Suite. The Themenzimmer is larger and the rooms are themed, the Directors Suite has a separate living room with sofa. Generally good. Excellent bike routes and the Ride with GPS feature is a huge improvement on the old paper written instructions. Annoyingly, only 1 of the hotels used had any form of air conditioning. This is unusual nowadays. Bikes are still terrible. Only just adequate for the very easy terrain. We are very experienced cyclists. I honestly did not realise bikes this heavy were made nowadays. Thank you for completing your post-holiday questionnaire. It’s great to hear that overall you enjoyed the holiday thank you for your feedback re; the routes and using the Ride with GPS app. Regarding the bikes - these are typical hybrid bikes used on our repped holidays. I appreciate that as an experienced cyclists these are going to be heavier than perhaps a bike you have at home. Our bikes need to be sturdy enough to withhold the usage, the weight of the pannier racks and panniers, the stand, heavier saddles and the suspension - all of which contribute to the overall weight. We will of course continue to monitor feedback and I do thank you for sharing your holiday experience with us. Every two days from 15th May 2019 to 10th Oct 2019, for 8 nights. All dates are subject to availability, please contact us to check. Due to the tailor-made nature of our holidays, we need a little more information in order for us to check availability for Cycling Bavaria's Majestic Waterways . Simply complete the form below and a member of our sales team will contact you (when it's most convenient for you) to provide availability information, travel options and an accurate price. Of course there's no obligation, but if you do wish to proceed with a booking they will be on-hand to assist you throughout the process.